Overwhelmed by the challenges of organizing in your school? Want to share ideas with other dedicated, creative chapter leaders and activists? 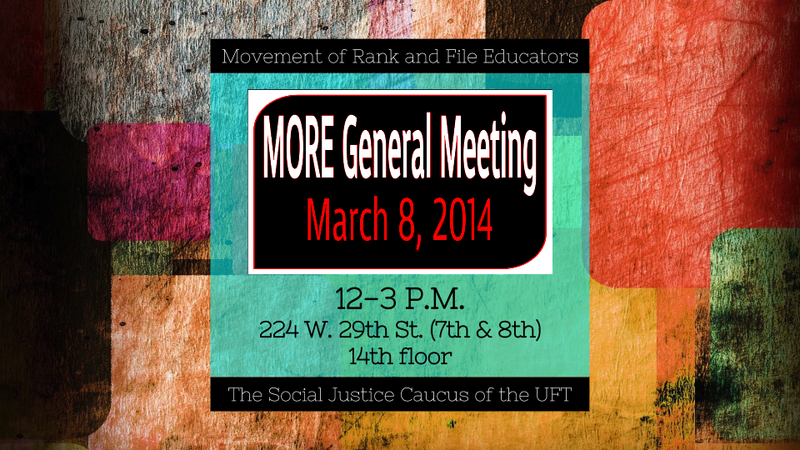 Come to a workshop on organizing your members to create a more active, involved union chapter. Discuss organizing challenges with other chapter leaders and strategize creative solutions to build teacher and para power in your school! 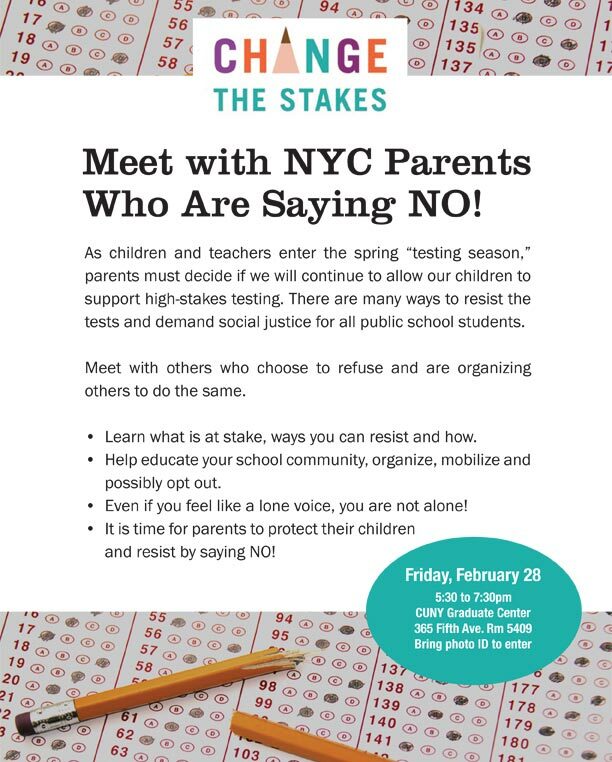 FRIDAY 2/28: MEET WITH PARENTS WHO ARE SAYING NO! As children and teachers enter the spring “testing season,” parents must decide if we will continue to allow our children to support high-stakes testing. There are many ways to resist the tests and demand social justice for all public school students. 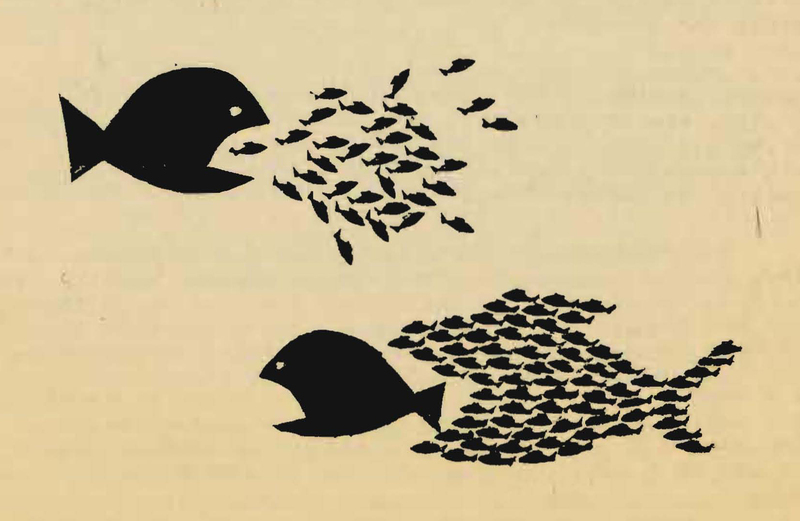 Meet with others who choose to refuse and are organizing others to do the same. • Learn what is at stake, ways you can resist and how. • Help educate your school community, organize, mobilize and possibly opt out. • Even if you feel like a lone voice, you are not alone! 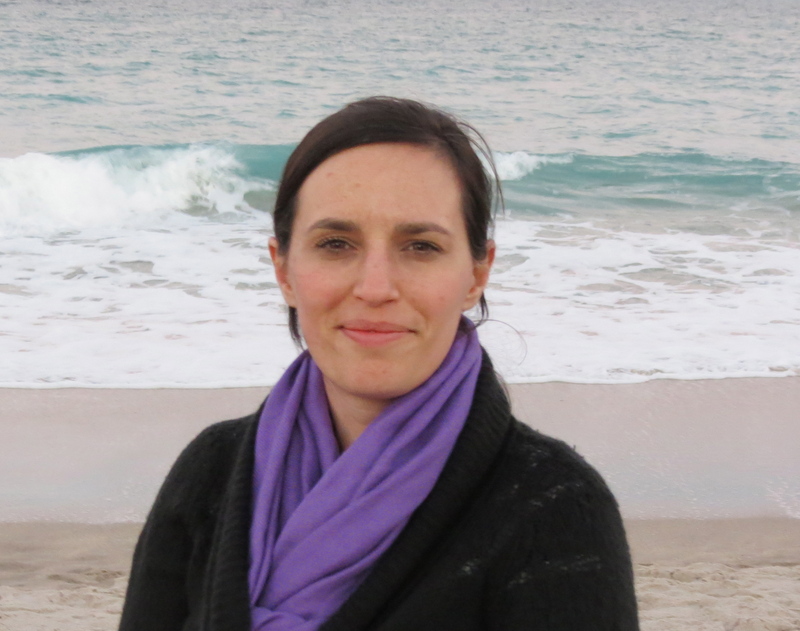 • It is time for parents to protect their children and resist by saying NO! In April, the New York State Teachers Union (NYSUT-the state association of teachers unions that the UFT is part of) will be having elections. Since UFT/Unity has a great deal of power in NYSUT, MORE was asked by statewide activists in the Port Jefferson Teachers Association to get involved. We are excited to announce that we will be running for the 6 At Large positions on the Board of Directors that represents the NYC schools’ district (UFT) at the state union level. Our candidates are Julie Cavanagh, Lauren Cohen, Michael Schirtzer, James Eterno, Francesco Portelos, and Jia Lee. We will be campaigning for our statewide union to take a stronger stand against test-based teacher evaluations, for more union democracy, and for building an active rank-and-file membership that works in solidarity for improved working and learning conditions.